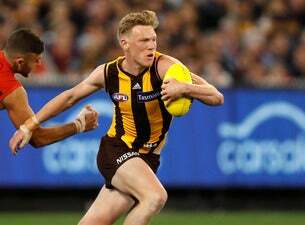 Catch the live footy action in Tasmania this season, with the Hawks, Blues, Power, Dockers and Lions hitting UTAS Stadium. In Round 6, Hawthorn takes on Carlton at UTAS Stadium for the Alec Campbell Cup in memory of all those who have served their country in the armed forces. Watch Hawks indigenous heroes Shaun Burgoyne, Chad Wingard and Jarman Impey take on their old side Port Adelaide in Round 10 for this year’s Sir Doug Nicholls Round. Round 17 is not to be missed, as the purple haze heads south to take on the Hawks at UTAS Stadium. And in Melbourne in Round 22 the Hawks hit Marvel Stadium in a home game against Gold Coast.